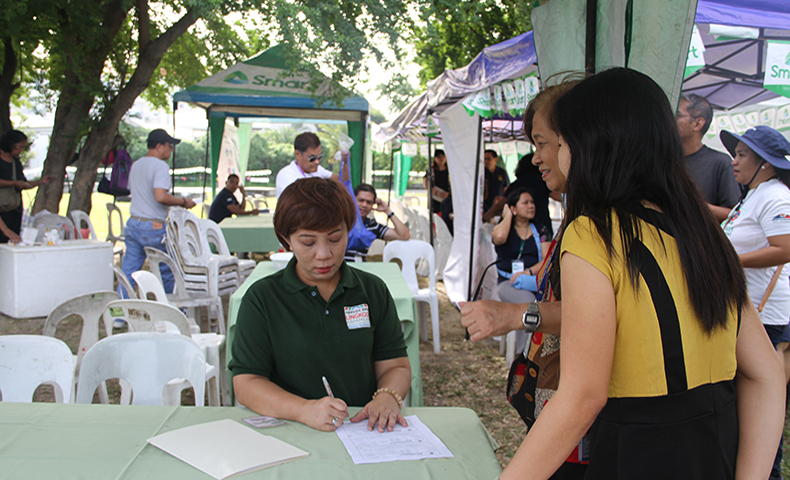 ABS-CBN Lingkod Kapamilya Foundation, Inc.’s Bantay Kalikasan, (ALKFI-BK) continues to advocate and support the preservation of the environment as it participates at the 3rd Subic Bay Metropolitan Authority Recyclables Collection Event at Subic Bay Freeport Zone. 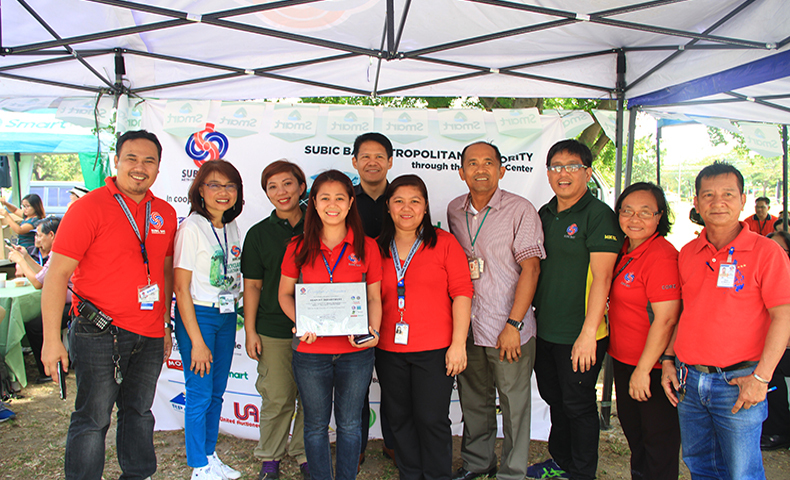 Spearheading the Recyclables Collection Event: For a Cause was the Subic Bay Metropolitan Authority (SBMA). According to Atty. Ramon O. Agregado, SDA for Support Services, the success of the previous conduct of this event motivates them to continue the program and the advocacy. They are very hopeful that this will endure in the years to come. Recognition of the the top 1 with the highest number of donated recyclables. (L-R) Amethya Dela Llana, Head of of the Regulatory Group/Manager, Ecology Center; Ish Panganiban, Senior Marketing Officer – Bantay Kalikasan; representative of HICC; Atty. Ramon Agregado, SDA for Support Services; and DJ Double B who served as the master of ceremony. Under the Bantay Langis and Bantay Baterya projects, Bantay Kalikasan collects used oils and used lead-acid batteries together with its recycling partners - Genetron International Marketing and Oriental & Motolite Marketing Corporation. During the event, a demo of Genetron International Marketing's Genar 22 was conducted. The thermal reduction technology shows how residual and municipal wastes can be transformed into resources like distillate fuel and biochar and addresses the problem of landfills and sustains a healthy environment. Waste plastic was loaded in the vessel and was dissolved by indirect heating. Since plastic is mostly made up of hydrocarbons, there were two expected outputs. The first one is distillate fuel from the disintegrated plastic which can be used as support fuel for the system. The second by product is char from the remaining solid material. The char, when combined with animal manure and other organic material, will become biochar and can be used as fertilizer or soil conditioner. “Tayo ay nagbibigay ng alternatibong kabuhayan sa kanila kagaya ng Ecotourism. Bukod sa nagbibigay ito ng kabuhayan sa ating mga komunidad, nakatutulong din sa pagprotekta ng ating kalikasan.” (We are providing them alternative livelihood like Ecotourism. Aside from this, it also helps in protecting our environment.) Panganiban added. Moreover, the event also encourages donors to bring other wastes such as busted lamps/bulbs, e-wastes, papers, cartons, plastics, metals, used tires, and other wastes that have toxic materials. 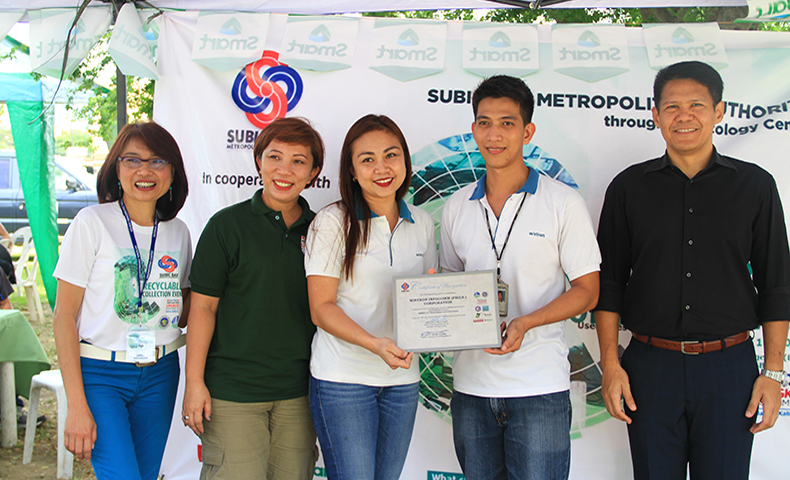 Meanwhile, the companies that donated with the most number of recyclables during the SBMA’s 2nd Recyclables Collection Event last May 17, 2017 were recognized in the event. Recognition of the the top 2 with the highest number of donated recyclables. (L-R) Amethya Dela Llana, Head of of the Regulatory Group/Manager, Ecology Center; Ish Panganiban, Senior Marketing Officer – Bantay Kalikasan; two representatives of Wistron Infocomm Philippines Corp.; and Atty. Ramon Agregado, SDA for Support Services. 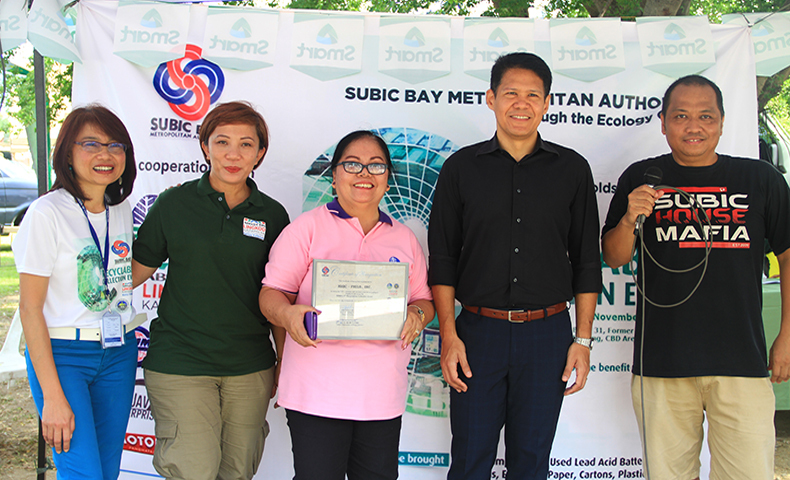 Awarding of Appreciation to Seaport Department of Subic Bay Metropolitan Authority for being one of the sponsors of the event. Photo Op of the Seaport Department with Amethya Dela Llana, Head of of the Regulatory Group/Manager, Ecology Center; Ish Panganiban, Senior Marketing Officer – Bantay Kalikasan; representative of HICC; and Atty. Ramon Agregado, SDA for Support Services. The event has been a success because of the unified action made by the organizers, sponsors, and donors. With that, ALKFI is positive that this undertaking will create an impact in the environment as well as in uplifting the lives of the Filipino.